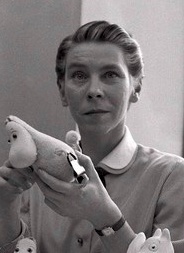 Today, August 9, 2014, marks the one hundredth birthday of Tove Jansson (1914–2001), known to the world as the author of the children’s books about Moomin. The first Moomin-book, The Moomins and the Great Flood, was published in 1945, shortly followed by Comet in Moominland. But it was Finn Family Moomintroll, published in 1948, that made Tove Jansson known internationally as it was the first of her books to be translated into English. The book became a bestseller and even attracted the attention of Walt Disney, who… To read the rest of the piece, please click here.